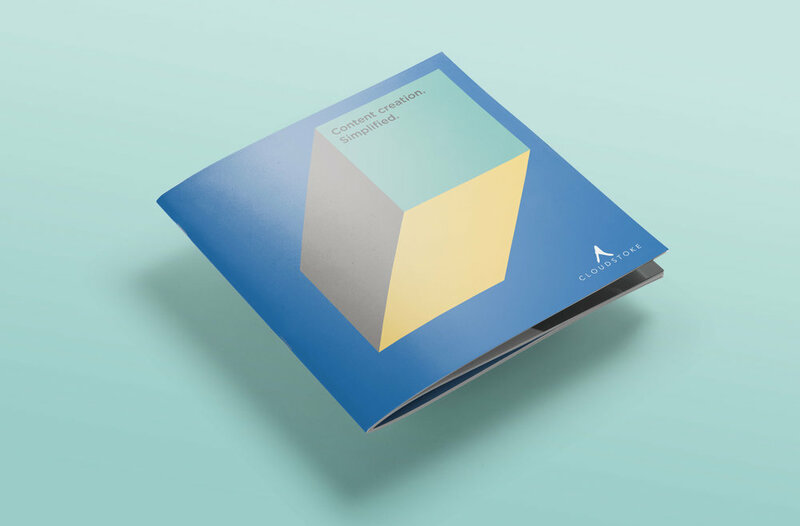 Although CloudStoke operate in the digital space; writing, shooting, filming and editing digital content for business’ social media channels, they also value the marketing advantages of a leave-behind printed brochure. Turner Design created a secondary brand look and feel and a new colour palette for CloudStoke to reflect their service offering. The result is a memorable geometric design in square format which is both visually interesting and informative.